According to a recent Pew Research report, over 73% of online adults use a social networking site. While Facebook is still the dominant social network, over 42% of this number use multiple social networking sites. Clearly, the allure of social networking is alive and kicking. However, even more important for businesses, is how to channel this interest in social networks into enterprises. Social intranet software is the closest thing to a public social network like Facebook for your business. These tools include Facebook-like status update functionalities and activity streams, with the familiarity of public networks. 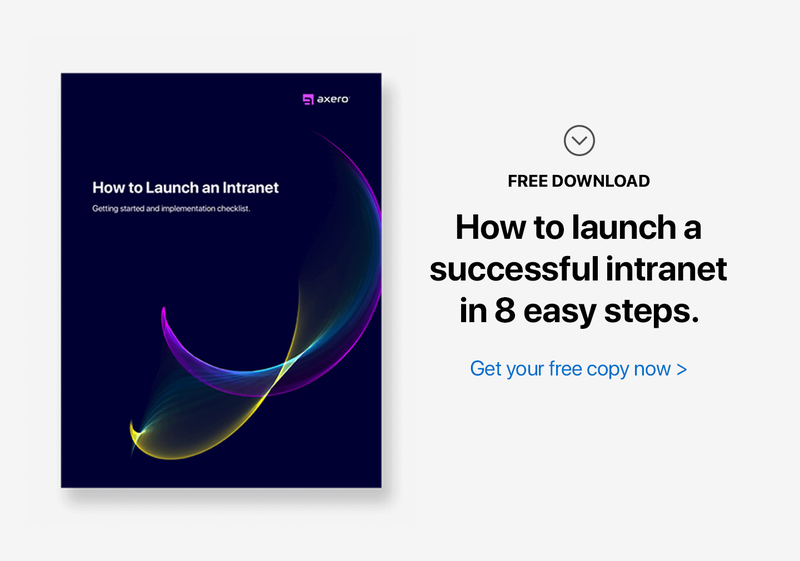 Many organizations are realizing the significance of how intranet software benefits and enables employee interaction, learning, and working. Some businesses, however, are still underestimating or altogether missing the true potential of such networks and the incredible power and role they play in developing a working culture. "Every enterprise has distinct needs and nuances that require a reframing of a social network." Indeed, for your organization to tap into the real benefits of such networks, it is necessary for you to look beyond technology. Charlene highlights four areas where social networking can add value to your business. Unlike traditional forms of communication, like email, social communications introduce a new angle. Social dialog has a more emotional impact and makes business more personal. A two-way dialog on an intranet platform is more likely to connect two individuals over email, which can have a powerful effect on how people relate in the workplace. Social also encourages sharing by reducing the power distance to leaders. Employees feel more at ease and can connect on a more personal level. The ability to form private groups is also a powerful way to get groups of people to connect more intimately in order to achieve intended goals within an enterprise. Social intranet software goes beyond the collaborative aspect and opens up opportunities for knowledge capture and process discovery. When people capture what they learned from on-boarding an employee, submitting a patent, solving a customers problem, or presenting a business proposal, and expose this to others, the opportunities for increased efficiency and productivity are great. Having a repository of work where your employees can search for people and bodies of work can encourage knowledge capture. When you prescribe work with knowledge attached to it, it is easy for employees to identify and discover expertise. In this way, they do not have to re-invent the wheel, as it were, and can focus on working more efficiently. When you add the ability for others to add their knowledge based on their experience, best practices are improved and processes are further enhanced. Social intranet software has also been shown to solve problems faster and better. Collaboration within enterprises boosts productivity of knowledge workers helping them expand and explore new ways of solving your company’s problems. When you have shared activity streams and open spaces for collaboration such as wikis and blogs, you also allow outsiders to come in and contribute to improving processes. When people share best practices, case studies, and experience expertise, there is a tremendous amount of value that benefits employees. Detailed private groups can also be established that enable collaboration between a client and a project team. Bringing outsiders into such a rich environment creates new ways of working with clients that can prove more efficient and satisfying. In order to create an atmosphere of innovation and engagement, employees want to feel involved and that they are valued ... and intranet software is well positioned to do that. When employees feel they have a voice in your company and that their contributions are helping grow your organization, this increases engagement, satisfaction, and retention. The number one reason for employee turnover in most organizations is the lack of opportunities to make meaningful contributions. Intranet software can be used to give a voice to employees by putting their ideas and comments into a conversation flow and letting them spur conversations. Ultimately, if they are viable, they can be implemented. Social intranets are still relatively new, especially for a lot of companies ... but the results that have come out of their implementations are nothing short of impressive. With a wide variety of intranet software platforms to choose from, your organization can make a more informed decision on what would best work for you.